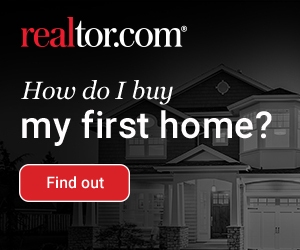 Learn to Sell Your Home Fast and More! We spoke to Mike Simmons of Return On Investments, LLC, a real estate investing company located in Michigan, and he provided some insights on how to successfully buy and sell houses fast. Read on below for a brief summary of our conversation. There are many reasons why people start looking into real estate investment. It might be to earn some extra money for the sustenance of your family or to improve your living conditions a great deal by having life altering income. Whatever be your reason, if you take out a home mortgage for investing in real estate, it is better that you are well equipped with enough information as to how to make your real estate investment have worthy returns. Since the investment market is quite volatile the right kind of leverage is really important. Read on to know the two pillars on the understanding of which the success of your real estate investment lies. Finding out properties and evaluating them – As an inexperienced investor in real estate, most of the times you fail to understand which property would be worthy enough to invest in. The only experience you perhaps have had on looking at homes and evaluating them is when you bought your own property. However, you should keep in mind that buying an investment property is nothing similar to buying a house for yourself. The purchase of your home was based on your emotions, your personal likes and dislikes, however, you cannot base your investment on your emotions. What you need to do is observe the property as a product. Among the things that you need to consider are the comparables selling for in the area, the stack up of the current price of the property, how much repairs would be needed to fix the house for maximum value and so on. Finding the money for funding – You will find out that most of the homes you want to buy as an investment property don’t qualify for FHA loans. Hence you have to take out a traditional home mortgage for them. You have to approach hard money lenders or private money lenders to help you finance your investment. Also, a huge snag that you will face is that finding money on credit. The biggest challenge you will face is finding an investor who would agree to give you a loan with no cash down, credit requirement, job history requirement and so on during the initial term of your loan. Although difficult to find, such lenders still exist. Along with the above two pillars, you need to know how to make your real estate property sell. In this way, you can also pay off your home mortgage and successfully gain profits from your investment. Buying a house is very much appreciated by our family because it may last forever. It is also the best investment we can get for our loved ones. Being one of the basic necessities of human living, real estate business is growing wider and it’s directly proportional to our country’s population. Since there are a lot of these housing projects of real estate investors, which one are we going to choose? The first thing you must consider is your budget. Don’t loan for a house which you cannot pay at all. Inquiring in a real estate company is the best option to find out what houses fit your income. Of course, you don’t want to invest all your money in this kind of asset. Of course, you need to save for your other plans. Be thrifty enough to budget your plans. Is the community living harmoniously? Is there no incident of robbery inside the community? Is there security personnel protecting the place especially at night? Try asking the people inside the community and about the everyday lifestyle inside the place for better reference. Or better search for the history of the house, and the community as well. Look for the records of the home. Is there a lawn, a parking space for your car? Can space accommodate your parking needs or barbeque party outside? Is the lawn okay? Do you need to maintain the lawn? And if there are staff to cut the grass. Of course, you don’t want your lawn to have snakes living next to your house. Will the interior of the house suites your lifestyle? Anyway, since you are buying a house, designing the interior is a privilege for you. But then, since they are already finished, redesigning the interior is not a problem. All you need to do is move in. Do not forget, you are growing. Your kids will enter college soon. Time pass by so fast that you will not even know it already passed. So better yet, try looking for a good place that is directly proportional to your growing needs. The most significant consideration when buying a property is the location. Will it be near main routes? Are there nearby schools, shopping centers, leisure facilities, and health services? Well if all this was there, then it might become a good asset in the near future you want to sell it. That’s when real estate in the Philippines develops their own community that contains the entire above checklist. The closer to the center of trading, the better. It will become very helpful for other future decisions in making your property more profitable. You need to check the quality of the house. Is the plumbing of the house okay? Is the electrical wiring good, outlet and switches work? Think of the safety and the beauty of your home. Always check if the paint they use is good enough to last for good years or are the windows are sealed correctly. You don’t want burglars robbing your home through that faulty window lock. Choosing a house nowadays is easier because many real estate businesses arising in the country. It is at our discretion, which company we will choose. There is a pervasive misconception about real estate investment: ride the rising market and avoid the sinking one, and you are sure to be a successful investor. While that is not entirely false, it is certainly misleading. Yes, you can make money in real estate by timing your investments and sales with the valleys and peaks (respectively) of the market conditions. With this paradigm, anybody can make money in a rising economy, but the successful investors are the ones who know how to sustain their business during the toughest economic times. Instead of waiting for the perfect moment in market-time to strike, the successful investor will scour the deflated market for good deals. That is the trick: invest in good individual deals, not in a rising market. You might think, “Even a great deal will yield only a relatively small profit in a bad economy, so why not just wait for a huge profit at the right time?”. Well, in theory, you would be right. It is harder to make money when people aren’t spending money on what you have to offer. And yes, selling at a market peak is the smartest and most lucrative way to profit. However, most investors have no clue what the market is going to do and when. They may listen to what the experts tell them, but the experts have demonstrated recently that nobody can really manage all of the parameters well enough to reliably predict such a complex market. The point is, clearly, investing at the right time is better than investing at the wrong time. But putting all your eggs in the market timing basket is incredibly risky because we don’t have a reliable sense of what will happen ten minutes into the future, let alone ten years. Instead, search your prospective real estate investments property by property, deal by deal. Pay attention to the current market conditions (as they will regulate how you make your money), but don’t become stagnant in difficult times or overly excited in prosperous times. The key is to slowly but surely accumulate good deals and capitalize when you find them. People will always need homes, even when the community or country as a whole is suffering. And everyone wants the best deal they can find. Why not simply find it first and then provide it for them? Whether you are a newbie or an experienced investor you can never afford to leave the basic principles of real estate investing. You can use different strategies in real estate to grow your portfolio. The options can involve investing in warehouses, retail shops, bulk retail, shopping centers, apartment buildings, single family homes or motels, taverns etc. Within the property types, you can become an expert in lease options, flipping houses, buying mortgagee sales or international investing. But these can never supersede the fundamental principles. There can be diverse strategies and methodologies for creating riches through properties but the principles of property investing are eternal. In my experience professional investors at times tend to become overconfident and flout the basic principles. They invariably suffer grievous consequences. So please study the following fundamental principles of real estate investing with care. * Do not buy on emotion. Investing is about return on investment. Do the numbers. * Buy your properties by using OPM or Other Peoples Money. You will need the mind of an investor to find a jewel investment. Uneducated people use their eyes to find properties. Thousands of people will pass a property and will see no any value in it. It takes an investors mind to spot a great property. Like anything in life, education is the key. Inaction will always lead to failure. I had no knowledge of real estate investing when I started out. My mentor was a very rustic real estate broker. He pushed me hard into buying my first property probably because he wanted to make a commission. I am glad he did that to me because it changed my financial future. I have never looked back since. I initially became a street smart investor. I learned through trial and error. Apply these basic principles to the extent you can. Experience will follow. Think big but start small. A few small steps will change the outcome of your life. Knowledge and application of these principles will be the key to your success in real estate investing. For many investors, the commercial side of real estate is powerfully appealing. Rather than dealing almost exclusively with homeowners, it offers an option to work with a completely different type of clients while giving you insights into new business types which may help grow your own business interests. To be fair, though, commercial real estate is a completely different game than residential real estate. There are certainly some additional thoughts and considerations to be made for each and every deal. Unlike residential deals, commercial transactions can often take much longer. The investor needs to have the patience and the financial ability to have a property in holding for longer periods of time. Despite the longer sales cycle, there are many real estate agents who are pushing forward and making the jump into the commercial pool. Below are a few tips to keep in mind before you take the jump yourself. It goes without saying, but any investor should know and understand the market in which they are investing. The more knowledgeable about the investment market, the more control the investor has which should lead to higher returns at the end of the day. Higher returns means more deals and a more diverse portfolio. Touched upon earlier, it needs to be well known to an investor. Residential investing moves much faster than commercial investing. From research to paperwork and renovations to finding tenants, the process is always longer. On the other hand, though, the lease terms are also longer. The investor doesn’t have to worry about finding new tenants nearly as often as on the residential side. Commercial real estate is fruitful, but it takes patience. There are many business types that have higher failure rates than others. Bars and restaurants are the first to come to mind. It’s safe to say if any of your tenants are restaurants or bars, there is a good chance they will fail. This will mean they likely will default on their lease. If you aren’t properly prepared or covered for a tenant to default, you could run into some problems. Avoid these business types if you either can’t afford to cover them defaulting or if you can’t afford the proper insurances. This is obviously not a complete list of tips, but it should get any investor thinking and understanding what may need to be done to get into the commercial space. As always, there are many variables in play including area demographics, trends, property types (and the risks of each), and so much more. Before you take the plunge into the commercial side of real estate, make sure you are ready. The profits can be great, but it will take a great deal of patience as well.